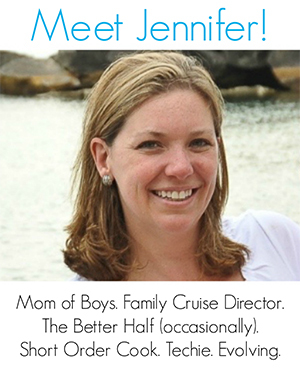 Tired of eating poorly when life gets busy? 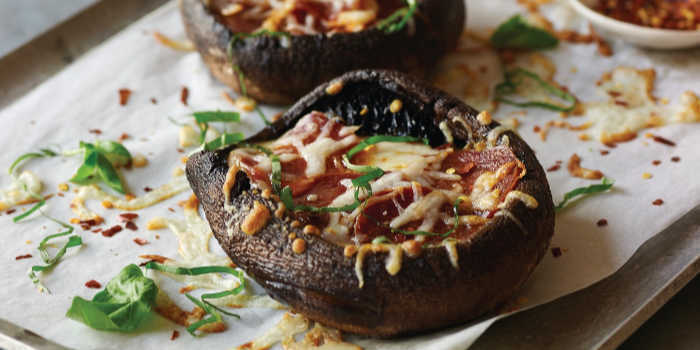 One of my comfort foods is pizza — but with this portobello mushroom pizza recipe, you can enjoy some of your faves without all of the heavy carbs. While some may say being busy is good, it’s not always good for a healthy lifestyle. I know when I’m running around, I tend to fall off the wagon and eat poorly. With less time to prep, the thought of planning nutritious meals and snacks may feel overwhelming, but with simple changes, you can power through your hectic schedule and serve up something the whole family will love. This post contains affiliate links. 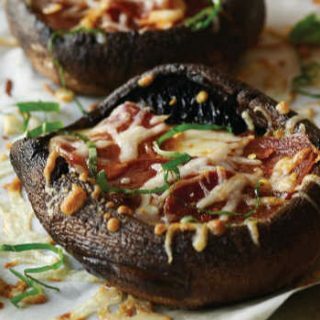 This portobello mushroom pizza recipe is part of the Atkins low-carb lifestyle, a long-term, healthy eating approach focused on high-fiber carbohydrates, optimal protein and healthy fats. The Atkins plan also aims to reduce levels of refined carbohydrates, added sugars and the “hidden sugar effect” – when carbohydrates convert to sugar when digested. You don’t see the sugar, but your body does. I’m sure I’m not the only one, but with the new year, I’m pushing to get healthier — and that’s not all talk! 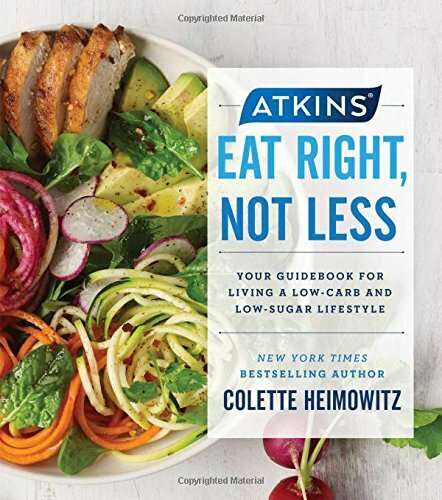 Part of my move to a healthier me, is following these tips from Colette Heimowitz, author of “Atkins: Eat Right, Not Less” and vice president of nutrition and education at Atkins. Fiber-rich foods, such as vegetables, nuts and seeds, low-glycemic fruits and whole unrefined grains, are considered carbohydrates but they don’t raise your blood sugar the way processed carbs do. Fiber slows the entry of glucose into your bloodstream so you don’t experience the insulin spikes that encourage your body to produce and store body fat. Additionally, fiber can help you feel full longer. If possible, try to eat 25-35 grams of fiber each day. Start the day with breakfast. 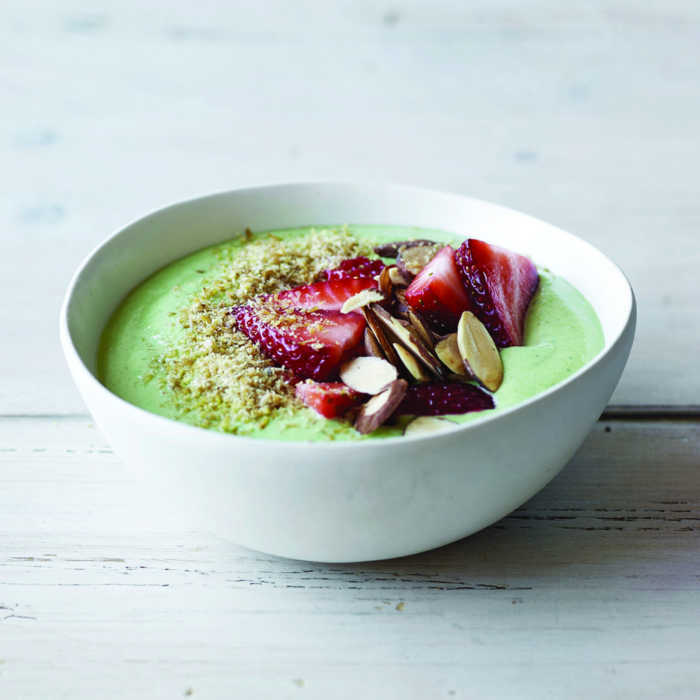 Start your mornings with a hearty breakfast like an Almond Butter Smoothie Bowl. The nutritious combo of protein and healthy fats can set you up for a productive day and prevent mid-morning donut or bagel cravings. For another quick option that takes just 10 minutes, a Power Mug Muffin with Cinnamon Butter can provide the fuel you need to start your day right. If you’re in the midst of a traffic-clogged commute, on-the-go snacks can be an ideal solution for the whole family. 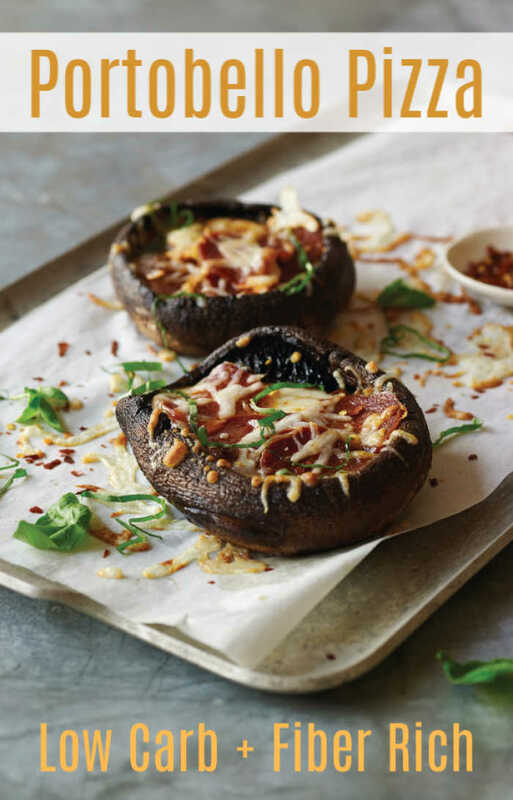 For a fun, tasty option, try these Portobello Mushroom Pizzas, full of nutrients and fiber! We actually make them into a dinner in our house. Step 1: Heat oven to 375 F.
Step 2: Line baking sheet with parchment paper. Coat with olive oil spray. Step 3: Using spoon, scrape out dark gills from mushrooms; discard gills. Step 4: Place mushrooms stem-side up and top each with 2 tablespoons sauce. Sprinkle each with 2 tablespoons mozzarella cheese and four slices pepperoni or chorizo. Step 5: Bake 20-25 minutes, until cheese is bubbly and mushrooms are soft. Find more mouth-watering recipes on Mommy Evolution! This looks so easy! I have been looking into recipes with fewer carbs, and I’ll have to add this one to the lineup. Pinning for later! This has become a house favorite for me and my husband… cuts out a lot of those carbs! Thanks for sharing! This recipe has become one of our favorites… giving it to the pizza we love without the carbs. If you make it, just be sure to not grab the flatter mushrooms… you want ones with a rounded edge so the cheese doesn’t bake off 🙂 Happy eating! such a great idea that I am going to have to done one day for dinner appetizers. I think these would be a hit with my family. Thanks for linking this post with us at #OMHGWW! What a great idea!! I have to try this one! Thanks for sharing at the What’s for Dinner Party. Mmmm, I love these for a snack or a light dinner with a salad! So simple to prepare too! Thanks very much for bringing them to Fiesta Friday this week. They are a lovely addition to the party! 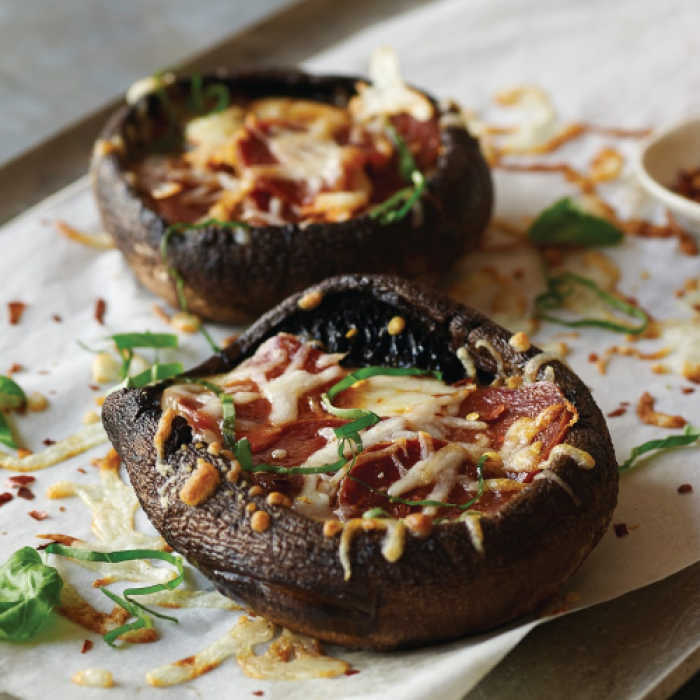 Your Pottobello Mushroom Pizza recipe looks so good, I can’t wait to try these! Thanks for sharing with us at Full Plate Thursday and have a good week!